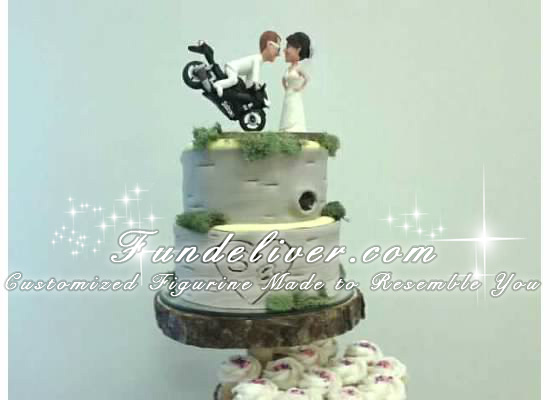 Shop Review : www.FunDeliver.com, We Deliver Fun! The service was very good. Many progress pictures were sent throughout the process. 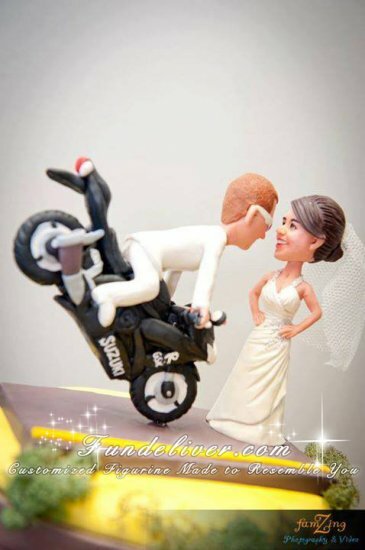 My only complaint is that I ordered the cake topper in March for a June wedding and I received the cake topper the Wednesday before the Saturday wedding. Needless to say, I was sweating it out. It came and was packaged in a keepsake box and was exactly as it was supposed to be. 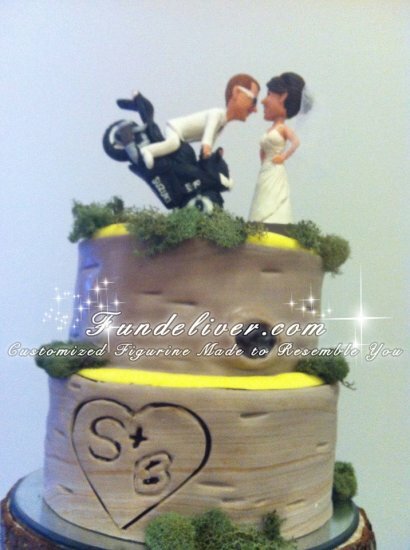 The artists took great care in making sure of all the details on the groom's tux, the motorcycle, and the bride's dress looked exactly like her gown! I sent detailed pictures of the dress and groom's sunglasses! It was a great surprise for my son and his bride! The communications started off really slow, but once the process got going, the communication and the pace began to pick up. We got our cake topper on time; the body sculptor was very good at including the tiniest details and taking instructions.